A hundred years ago today, 31 May 1915, the much-feared aerial attack on London began. The Zeppelins, whose visits to England had begun earlier in the year with bombs dropped over East Anglia, visited the East End of the capital – their first bomb was dropped on a house in Alkham Road, Stoke Newington. This week, the London Borough of Hackney unveiled a plaque on the house where that first bomb fell. This interesting modern commemoration echoes a plan in the City of Westminster (see my blog post on it here) to mark the sites where bombs fell, initially every site and later just the first and last. 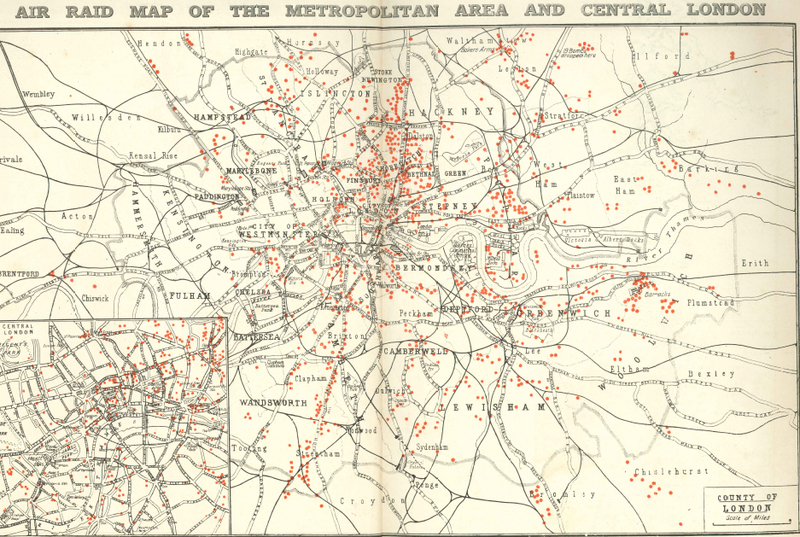 The Westminster plan did not receive any support after the war among the other boroughs where bombs had fallen; it was shelved in 1920.